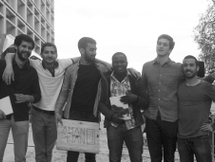 Ateliermob is a multidisciplinary platform for the development of ideas, research and projects in the areas of architecture, design and urbanism. 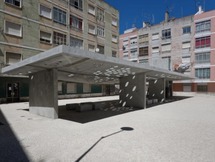 The company was founded in 2005 in Lisbon, as a result of several works carried out by its founding partners. Ateliermob has been working on projects of different typologies and scales, for public and private entities. In parallel, we have been developing research work to support the project-oriented practice, an architecture blog, design, urban planning and participation in several national and international competitions. Currently, ateliermob is constituted by two partners – Andreia Salavessa and Tiago Mota Saraiva – and a team of skilled professionals associated, when possible, with other entities and technicians in order to enrich and broaden the spectrum of its multidisciplinary services. Referenced in several national and international publications, ateliermob has held conferences in Lisbon, Oporto, Coimbra, Barcelona, Montpellier, Toronto, Vaduz and Cluj-Napoca, and achieved awards and honorable competition classifications.